Charlottetown (; [ʃaʁlɔt.tawn]; Scottish Gaelic: Baile Sheàrlot) is the capital and largest city of the Canadian province of Prince Edward Island, and the county seat of Queens County. 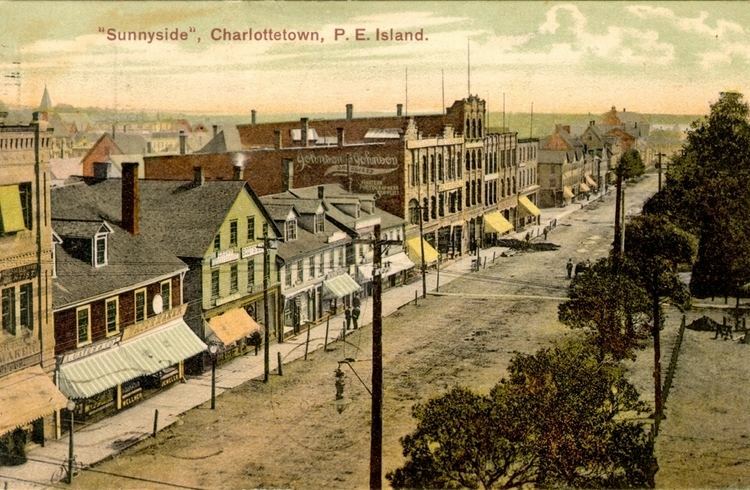 Named after Charlotte of Mecklenburg-Strelitz, queen consort of the United Kingdom, Charlottetown was originally an unincorporated town that incorporated as a city in 1855. 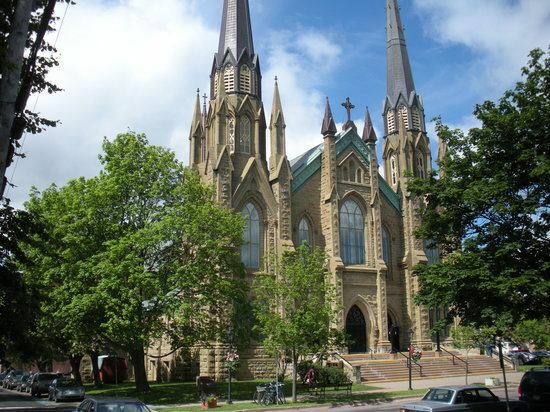 It was famously the site of the Charlottetown Conference in 1864, the first gathering of Canadian and Maritime statesmen to debate the proposed Maritime Union and the more persuasive British North American Union, now known as Canadian Confederation. From this, the city adopted as its motto "Cunabula Foederis" – "Birthplace of Confederation". The population of Charlottetown in the 2011 census was 34,562; this forms the centre of a census agglomeration of 64,487, which is slightly less than half of the province's population (140,204). In August 1758, at the height of the French and Indian War, a British fleet took control of the settlement and the rest of the island, promptly deporting those French settlers that they could find in the Ile Saint-Jean Campaign (this being fully three years after the original Acadian Expulsion in Nova Scotia). British forces built Fort Amherst near the site of the abandoned Port La Joye settlement to protect the entrance to the harbour. On November 17, 1775, the colony's new capital was ransacked by Massachusetts-based privateers, participants in the American Revolutionary War. During the attack, the colonial seal was stolen and several prisoners, including Phillips Callbeck and Thomas Wright, were taken to Cambridge, Massachusetts and later released. In 1793, land had been set aside by Governor Fanning on the western limits of the community for use by the "Administrator of Government" (the Governor), and as such it became known informally as "Fanning's Bank" or just "Fanning Bank". 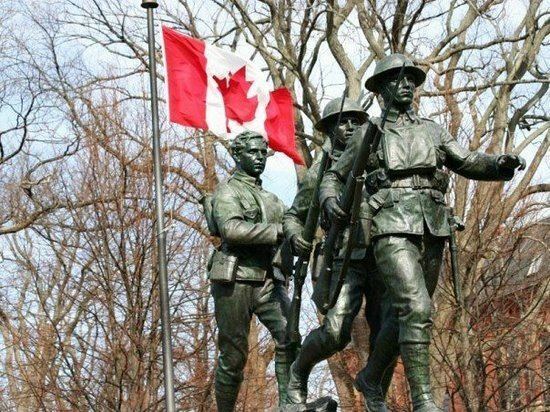 On November 29, 1798, St. John's Island was renamed to Prince Edward Island in honour of Prince Edward, Duke of Kent and Strathearn who was the Commander-in-Chief, North America. In 1805, the local British garrison constructed a harbour defence called "Fort Edward" to the west of the capital's waterfront and the "Prince Edward Battery" manned this facility. In 1835, "Government House" was constructed at Fanning Bank as a residence for the colony's Governor. Today, it serves as the official residence for the Lieutenant Governor. Prince Edward Island entered Confederation on July 1, 1873. Aside from being the seat of colonial government, the community came to be noted during the early nineteenth century for shipbuilding and its lumber industry as well as being a fishing port. The shipbuilding industry declined in the latter part of the nineteenth century. On June 14, 1873 the "Government House Farm" at Fanning Bank was designated a municipal park, named Victoria Park in honour of Queen Victoria. In August 1874, the Prince Edward Island Railway opened its main line between Charlottetown and Summerside. The railway, along with the shipping industry, would continue to drive industrial development on the waterfront for several decades to come. The province's first health care facility, the Charlottetown Hospital, was opened by the Diocese of Charlottetown in 1879, which was followed by the publicly operated Prince Edward Island Hospital in 1884. In 1995 Charlottetown underwent municipal amalgamation. 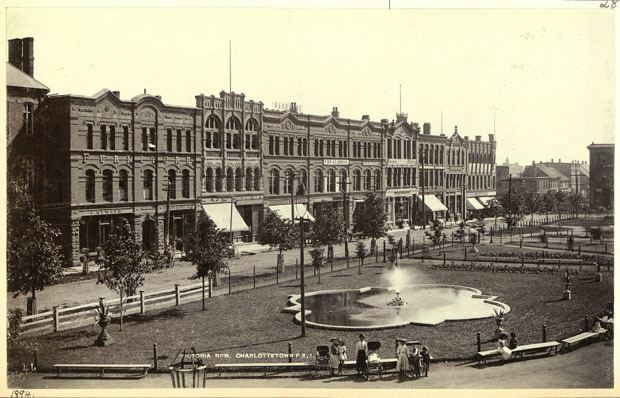 The present city was created by merging Charlottetown with Sherwood, Parkdale, Winsloe, West Royalty, and East Royalty. Since amalgamation, the city occupies most of Queens Royalty and part of the townships Lot 33 and Lot 34. Downtown Charlottetown includes the city's historic five hundred lots, as surveyed by Captain Samuel Holland, as well as the waterfront facing the harbour and the Hillsborough River. Adjacent communities to the original downtown included Brighton, Spring Park, Sherwood and Parkdale. The areas to the west, north and east of downtown have been developed in recent decades with several residential and commercial/retail developments, although the outer regions of the city are still predominantly farmland, as is an area in the centre of the city where an Agriculture Canada experimental crop research station is located. The Agriculture Canada research station farm is the last remnant of the Queens Royalty common pasture lands and creates a large greenspace in the centre of the city, north of downtown. The development of the township of Queens Royalty, with its 5-hectare (12-acre) estates surveyed during the 18th and 19th centuries along a north-south axis forced early road networks into a grid. The original municipal boundary between Charlottetown and the common area of the township of Queens Royalty was the northern edge of the original five hundred lots along present-day Euston Street. This boundary was extended north to Allen Street and Kirkwood Drive during the early twentieth century, taking in part of the rural community of Brighton west of the downtown. The village of Spring Park was amalgamated into the city in 1959, extending the city's boundary north to Hermitage Creek, which also formed the southern boundary of the village of West Royalty. Development filled in most vacant land in the Brighton and Spring Park neighbourhoods by the 1980s. Municipal amalgamation in 1996 saw the outlying independent municipalities of Parkdale (town), Sherwood, East Royalty, West Royalty and Winsloe (villages) merged into a larger city of Charlottetown at the same time as rural communities east and west of the city were amalgamated to form the towns of Stratford and Cornwall respectively. In 2006, 17.2% of the resident population in Charlottetown were of retirement age (65 and over for males and females) compared with 14.9% in Prince Edward Island and 13.7% in Canada; therefore, the median age is 41.3 years of age comparing to 40.8 years of age for Prince Edward Island and 39.5 years of age for all of Canada. The Charlottetown census agglomeration area (CA) comprises Charlottetown and the neighbouring towns of Stratford and Cornwall, as well as adjoining rural areas of central-eastern Queens County, namely Lots 31, 34, 35, 36, 48, 49 and 65. At the time of the 2006 census, the resident population for the CA was 58,625 people over an area measuring 728.03 square kilometres, compared with a resident population in the province of Prince Edward Island of 135,851 people. The 2010 projected population is estimated to be 61,210. The city's municipal government is structured around a council comprising a mayor and ten councillors elected using the ward system. The current mayor of the city is Clifford J. Lee. Charlottetown has seven seats (30% of the total) in the Legislative Assembly of Prince Edward Island. Some of these electoral districts occupy adjacent rural areas that are not within the city's boundaries. The city has a single seat in the House of Commons; the current deputy is Sean Casey (Liberal). Prince Edward Air, a charter airline, has its headquarters in Charlottetown. Charlottetown's central location in the province makes it a natural transportation hub. Historically it was the centre of the province's railway network. Highway development in the latter part of the 20th century has resulted in the city being the focal point of several important routes in the province. Route 1, the Trans-Canada Highway, partially bisects the northern suburbs, linking with Riverside Drive, the Hillsborough River Bridge and the North River Causeway/Bridge on a limited-access arterial highway linking the city with the Confederation Bridge in the west and the Northumberland Ferries terminal in the east. Route 2, the province's main east-west highway intersects with Route 1 in the city. Charlottetown Airport is the province's only airport with scheduled passenger service, serving 280,000 passengers per year. Charlottetown Transit is the latest incarnation of several attempts since the 1970s to implement a public transit system. It has provided scheduled bus service throughout the municipality since 2005. The Confederation Centre of the Arts provides live theatre, including the Charlottetown Festival during the summer months, as well as a nationally ranked art gallery. The Charlottetown Festival itself is headlined by Canada's most popular and longest-running musical, Anne of Green Gables - The Musical, which is an adaptation of Island author Lucy Maud Montgomery's novel. Several other small theaters and galleries can be found immediately surrounding the Confederation center including the Mac (MacKenzie theatre), the Arts Guild, and Pilar Shepard gallery. There is one junior hockey team in the community: the Quebec Major Junior Hockey League's Charlottetown Islanders. The city is also home to the Island Storm of the National Basketball League of Canada.